A weed massage sounds pretty good, right? 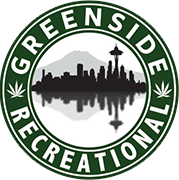 Well, here at the Seattle area’s best pot shop, we believe in the healing power of cannabis. Particularly the plant’s capacity to improve mental and physical health by helping you relax. This goes way beyond smoking a jay at the end of the day. Thanks to cannabis activists, cannabis health and beauty aids (CHABA) are now legal in Washington State, and a new generation of massage therapists are incorporating cannabis-infused oils into their treatment regimes. These cannabis topicals are being used to treat muscle pain, inflammation, and anxiety. CHABA are interesting because they support the concept that the power of cannabis extends far beyond the plant’s most famous component: THC. In fact, many cannabis-infused health and beauty products will not get you high. The topical treatments used by Washington massage therapists contain less than .03% THC, which is a non-intoxicating level. But patients nonetheless report a deeper sense of relaxation, relief from chronic pain, and relief from joint and muscle inflammation. Although we highly (no pun intended) recommend getting a weed massage from a professional, you don’t have to pony up for a professional massage to try cannabis topicals. Here at Greenside, we carry Body Buzz cannabis-infused bath soak, which delivers the relaxing powers of full-flower cannabis extract and pure Epsom salt. At 0.5 % THC, Body Buzz is akin to the CHABA that massage therapists use — in terms of THC content. If you’re interested in something stronger, we also carry a CBD gel pen that delivers 15.3% THC and 96.1% CBD, or Must Body Oil (Ethos Extracts), which is 52.9% THC and 2.1% CBD. For a full menu of our CBD and THC topicals, check out our website. And, of course, if you want to enhance your chill even further, we also carry a full range of pre-rolls, cannabis extracts, marijuana edibles, and all the latest strains of killer weed.